Affirmations relevant to the symbolism of the turtle make up this entire design! Set your own pace! Be supportive and strong! Bring good health and good fortune! You can be all of this concepts that make up the meaning of the Turtle whenever you need them! 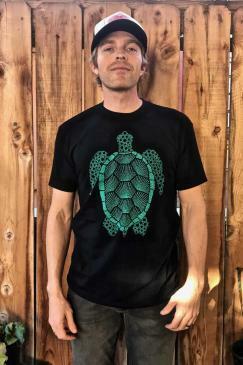 Take a look at these shirts that we carry with this Sea Turtle design.